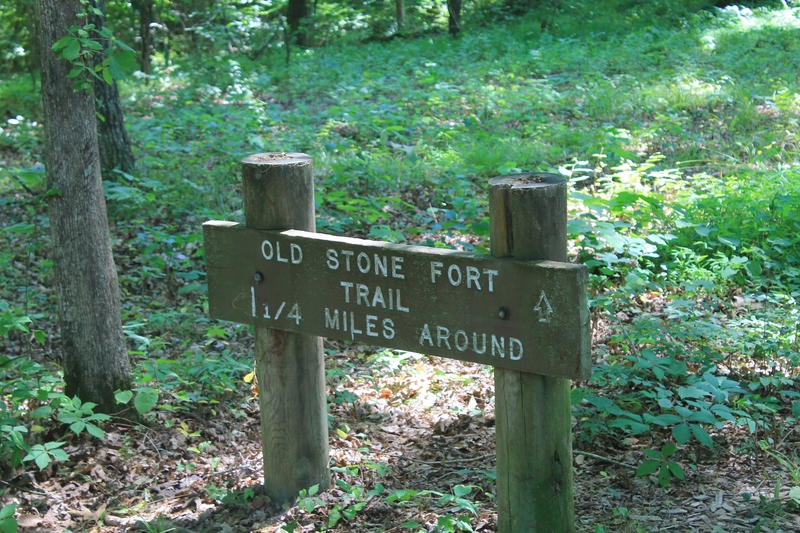 Our first stop on our Tennessee vacation during the Summer of 2012 was Old Stone Fort Archaeological Park. 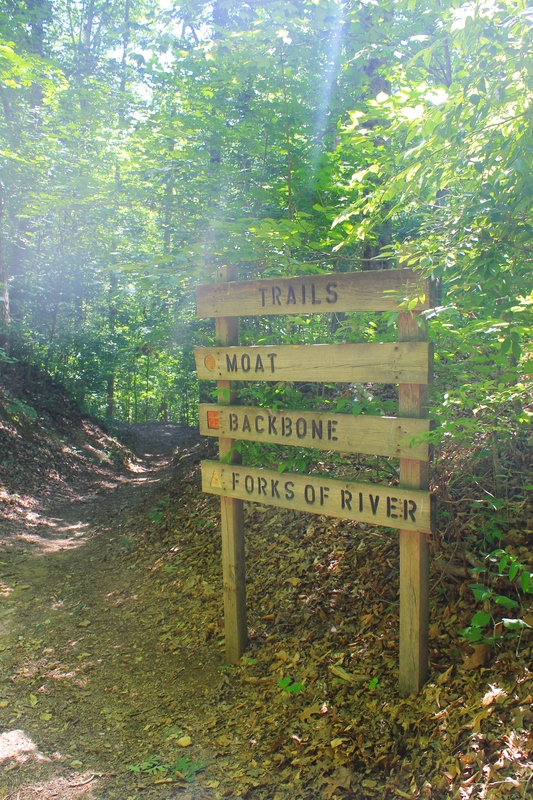 This park is right off Interstate 24, south of Nashville, and since it was along the way, it was a great spot to get out, do a short hike and stretch our legs. The reason this park is a designated archaeological site is because it is the site of an ancient Native American mound. It is a ceremonial hill-top enclosure surrounded by a wall of rocks. The most notable trail in the park is the trail around the perimeter of the wall enclosure which starts by the museum and is about a mile and a quarter. Hiking clockwise, the trail leads you along the Little Duck River which drops several times creating small waterfalls. So side note for a little story. There are some small trails that lead down the side of the hill and onto rocks so you can explore the river and waterfalls a bit. We were trying to get a bit closer to the waterfalls for a good picture and my husband looks back and he had accidentally stepped on a hive and ground hornets were swarming our dog. 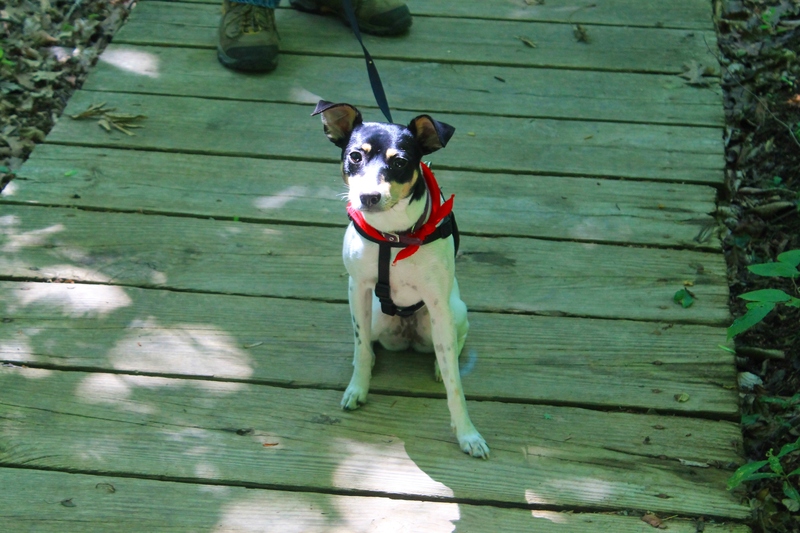 She got stung several times hence the sad puppy picture below. So this was not such a great start to our vacation, but after carrying her a bit, she was ready to go explore again. From here, the trail leads around the enclosure and through some shaded grasslands. 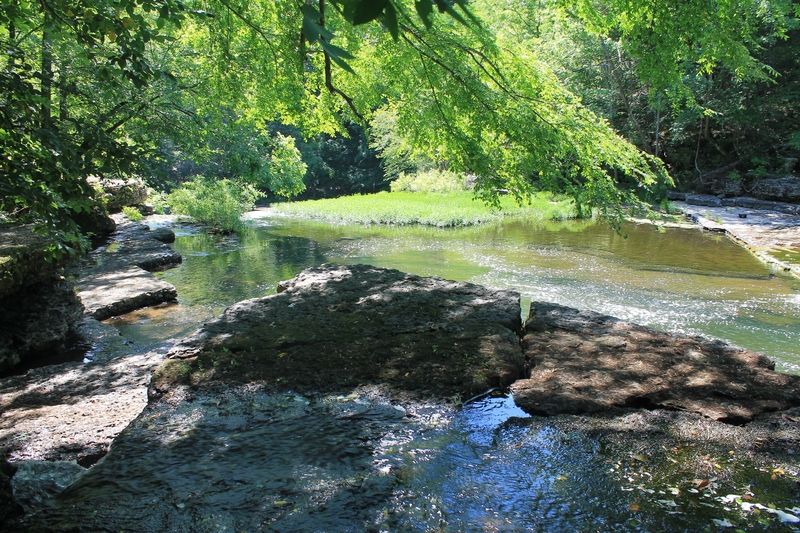 The hike back towards the Museum leads you along the Big Duck River which has the Big Falls and the Blue Hole Falls. Here are also another 2 miles of hiking trails in the park. 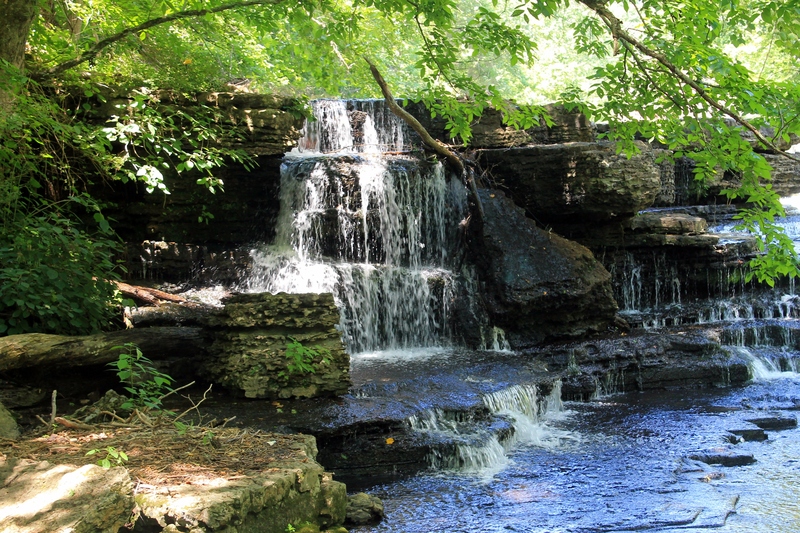 This is a great historical site, close to the interstate, that features several waterfalls on a reasonably short hike. 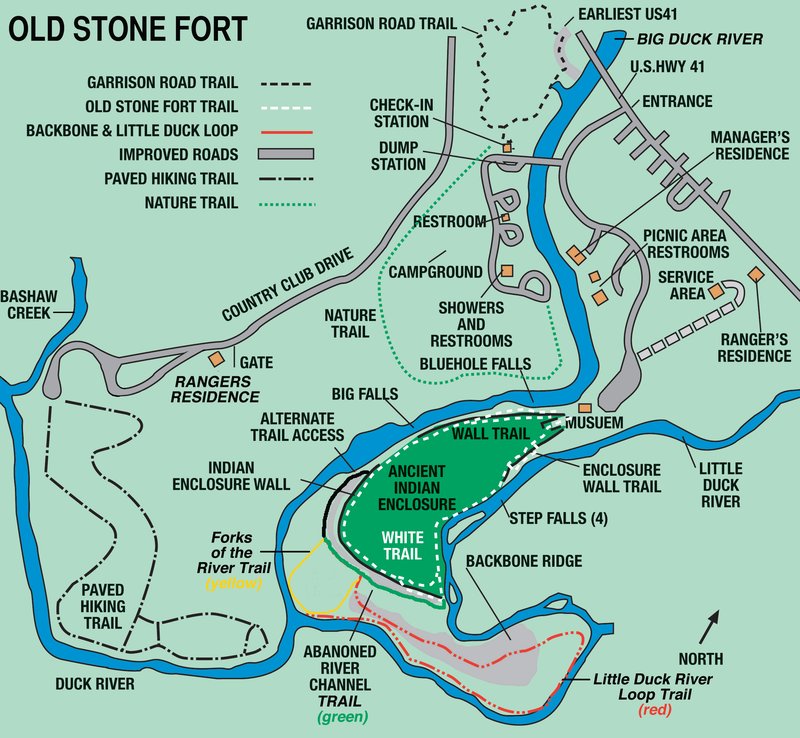 The map below is from the Tennessee State Parks website. Be sure to check it out for more information!